Large open-plan kitchen/dining and lounge. Patio doors directly to pool terrace. Twin bedroom with bathroom. 1 master bedroom with en suite and 1 twin bedroom with en suite. Each bedroom has a private sea view balcony overlooking the private pool. All bedrooms are air conditioned. 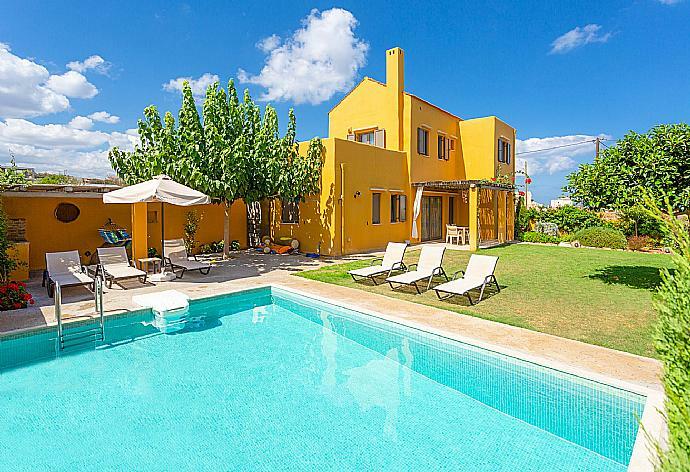 Villa Almira was booked 5 days ago!